The 2011/2012 season will be one to forget for Orlando Magic fans for a number of reasons but the playoffs are here and our home team will be playing the Indiana Pacers in the first round starting on Saturday, April 28th, 2012 in Indiana. 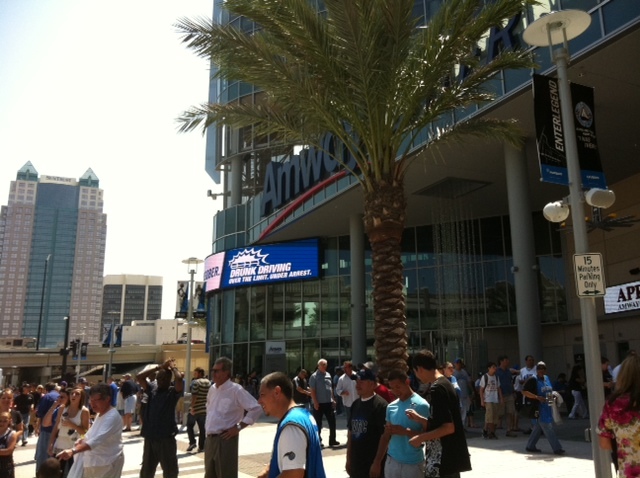 On Wednesday, May 2nd, 2012, at 7:30 PM, the Magic play their first playoff game at home for 2012 in the Amway Center. This is Orlando Local Guide’s Orlando Magic 2012 Home Playoff Schedule Guide. Click Here for the entire Orlando Magic Postseason Basketball Schedule. Check back here as the Magic playoff schedule plays out and more games and times are added. This entry was posted in Events and tagged downtown orlando, orlando, orlando magic, sports. Bookmark the permalink.